Nomibot allows users to select their favorite topics, and uses these to highlight content from around the Web. Szl has released its new mobile app, Nomibot, which utilizes artificial intelligence to search the Web for content and present users with news and other stories they’ll hopefully be interested in. After downloading the app, users are presented with a list of major topics, including beauty, celebrity buzz, cars, news and politics, education, technology and many others. Users select the topics they’re most interested in, and the app presents appropriately themed content from multiple sources around the Web. Users can browse this content in multiple feeds: an overall feed for all appropriate stories, a feed for some of the world’s top stories (regardless of topic) and individual feeds for each topic users have bookmarked. Each story is presented alongside an image and short summary, and tapping brings up the full story without leaving the app. Users can rate each story up or down, save content to their favorites for later reading or share stories out to Facebook, Twitter and so on. The app becomes smarter as users rate stories, ensuring more relevant content is presented going forward. We created Nomibot to solve the Web’s noise problem and help users find exactly what they’re looking for without the hard work technology usually demands of us. With Nomibot, we’re finally employing technology to work for us and putting the power of the Web back in the hands of the people. 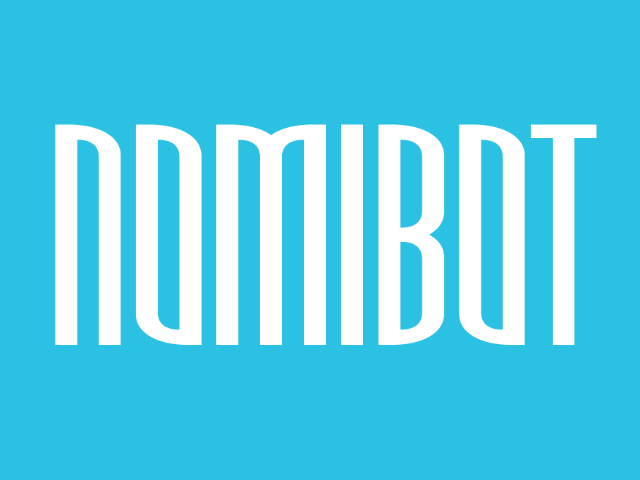 Nomibot is available to download for free on the iTunes App Store. Personalized news apps aren’t uncommon on mobile, with another option, Spotter, also utilizing artificial intelligence to personalize each user’s experience, as an example.